Two hours away from Cusco sits Hatuncancha, an incredible spot by the shores of a crystalline stream flowing in the páramo, a unique mountain habitat where condors glide on updrafts and llamas and alpacas graze on its prairies. This tranquil place is home to one of the most authentic Quechua-speaking families we have ever met. 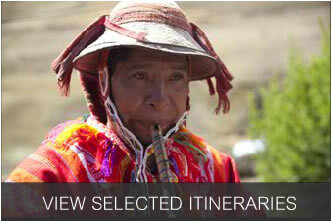 They will welcome us into their home or cancha which has stood in the exact spot since the Incas ruled the area. The houses in Hatuncancha were built on top of the foundations of older Inca structures; some of these houses are used nowadays as residences by Quechua local families. You will enjoy their hospitality, learn about their ancient way of life and even have the opportunity to participate in this family’s everyday life, working side by side with them as they knit, weave, perform the farm chores, tend the livestock and cook their traditional dishes. You will also be able to learn about agricultural traditional techniques from them in their bio-garden. A trip to Hatuncancha is a journey into the past, to a world governed by a concept of time very different to the one which holds sway in this thought – tormented age of ours. 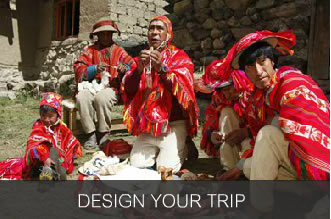 You will also enjoy lunch prepared with Andean products grown in the area. This will indeed be a once in a lifetime experience!